I had the pleasure of meeting with Yaffi Lvova of Baby Bloom Nutrition earlier this month to talk a bit about Healthy Passover meal and snack ideas that are good for the whole family. Check out the video to find out some of Yaffi’s tips and meal ideas and enjoy some of her delicious Kosher for Passover meal and snack ideas below! Instructions: Layer ingredients in a bowl and enjoy. Instructions: Add all ingredients into a bowl and mix together to enjoy. Instructions: Preheat oven to 300° F. Lay the coconut chips flat on a prepared baking sheet and spray lightly with olive oil. Sprinkle cinnamon and sugar (or seasoning of choice) over the chips. Bake for 15 minutes, gently turning chips over with a spatula every 5 minutes. Chips will crisp as they cool, so judge by color rather than texture. 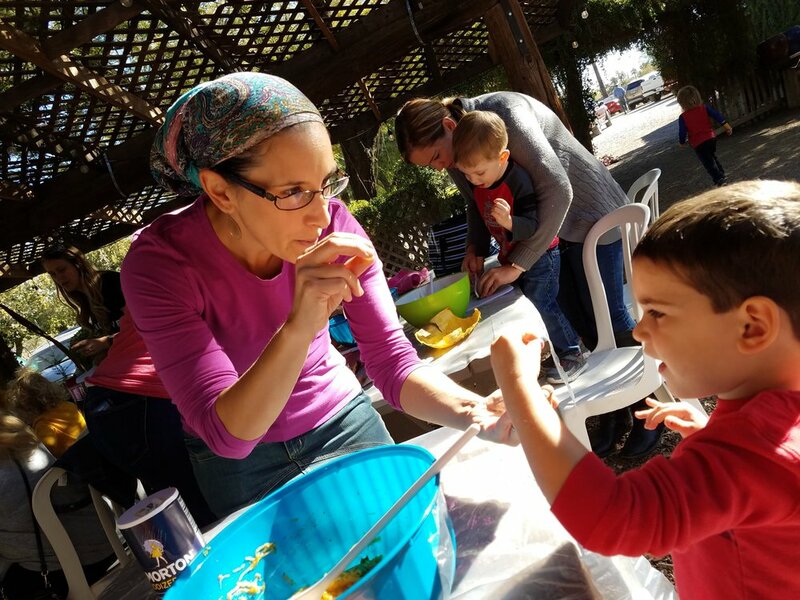 Check out Yaffi’s website, babybloomnutrition.com, to contact her and click here for information on Toddler Test Kitchen, a unique culinary adventure for ages 2-6 that takes place locally every two weeks.